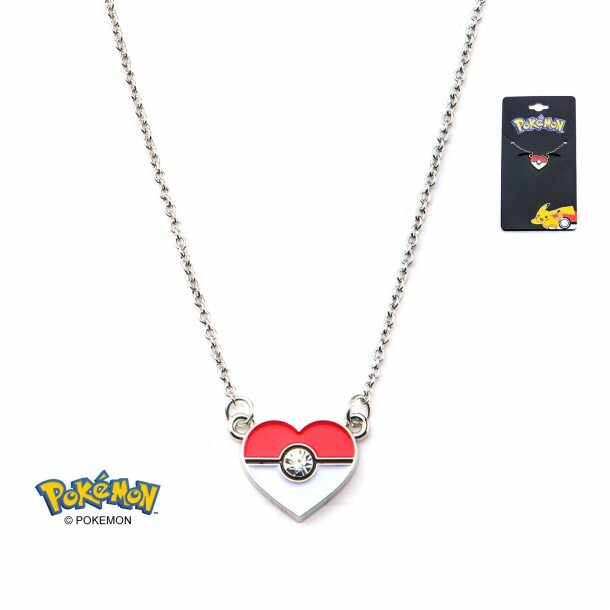 Stainless Steel Pokemon Poke Ball Heart Shape Pendant with Chain. Licensed Jewelry Hanging Card Included. Pendant Dimension: .506" (Length) x .557" (Width) x .072" (Height). Chain Size: 18 inch plus 2 inch extender.